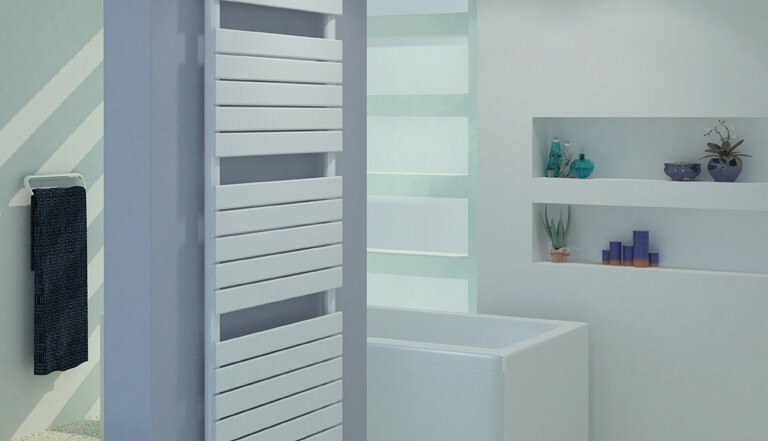 Henrad – a brand of the Ideal Stelrad Group – has come of age with the launch of four exquisite new towel rail radiators – any of which would be a stunning addition to any home – and at very reasonable prices. Radiators have never played such an important role in the home as they do today. Not only are they highly functional – providing the heat that homes need to be comfortable and pleasing to come home to – but now, due to a number of influences, they are genuinely becoming the focal point of many rooms. As part of the décor, they are there to be seen, rather than hidden away behind the sofa. And it’s probably fair to say that the first room in the home that benefitted from the radiator ‘growing up’ was the bathroom. It’s a couple of decades since the towel warmer radiator first crept into the bathroom. 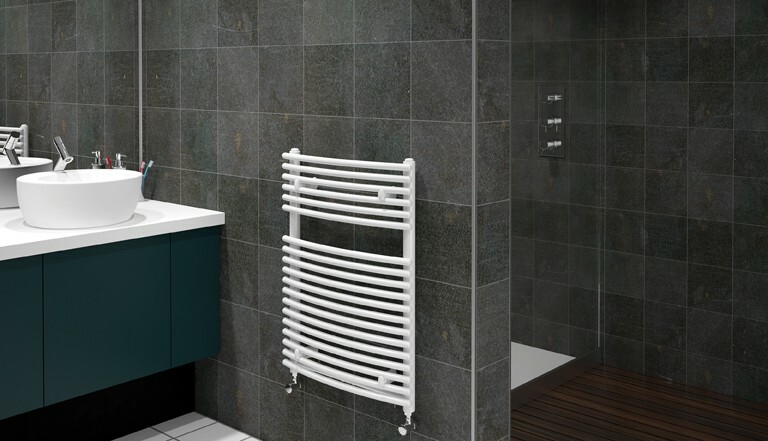 At first, just a simple ladder towel rail, usually chrome plated and capable of warming towels but not really heating the room, the idea clearly appealed and over the past twenty years – and the last five in particular – the breadth of design for towel rails has blossomed so that there are now some stunning designs available to choose from. And they have evolved, so they genuinely warm the bathroom, shower room or wet room in which they live. As part of the Ideal Stelrad Group, Henrad has a highly respected pedigree. Within the current portfolio, the Compact range is unsurpassed, offering over 140 variants to meet every need. And, representing the demand for leading-edge design, the Verona, Everest Line, Alto Line and Column styles are established designer options. 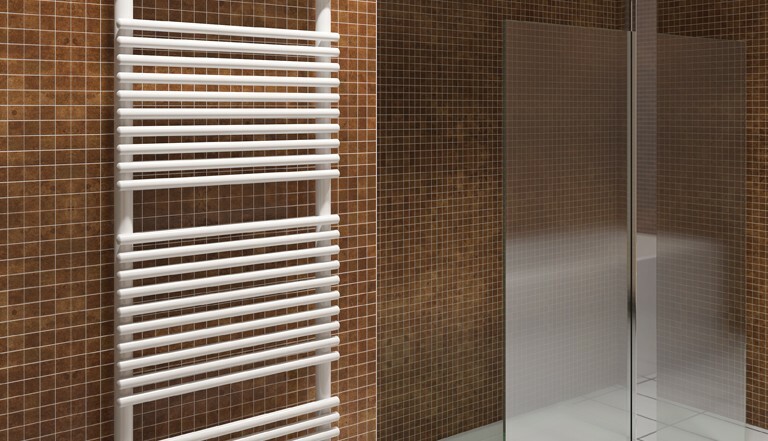 Henrad has now added some stunning new products – the Arno and the Verona – towel rails – three Arno derivatives – Arno Single, Arno Double, Arno Curved and a Verona Towel Rail – to give even more choice for the home. Whilst they all come in white as standard, there are also plenty of variants that now include 35 different colour options to further enhance your favourite rooms – they truly are now a vital part of the décor in any home and can be used to colour match or contrast your furnishing style. All four new rails come with a 5 year manufacturer’s warranty. They come with amazing installation flexibility – 6 tap connections and a centre connection option, they are maintenance free and available from stock. So Henrad is still the radiator for choice, quality and guaranteed value. It’s just that now there’s even more to choose from… and a lot more pizazz!